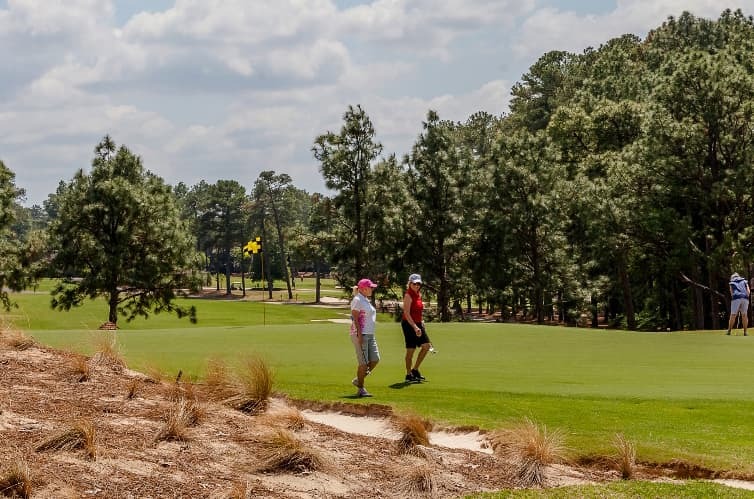 During the Golf Channel’s Wednesday broadcast of Morning Drive, Gil Hanse joined a group to play The Cradle, Pinehurst’s short course, live on television. The round was streamed in full on Facebook, and at the 8th hole, Hanse, who designed The Cradle, came AGONIZINGLY close to making an ace in front of about 200 spectators – and with Golf Channel’s cameras rolling. Golf Channel, though, didn’t get nearly as good of an angle as we did. You HAVE to see just how close Hanse came to acing the 8th hole.